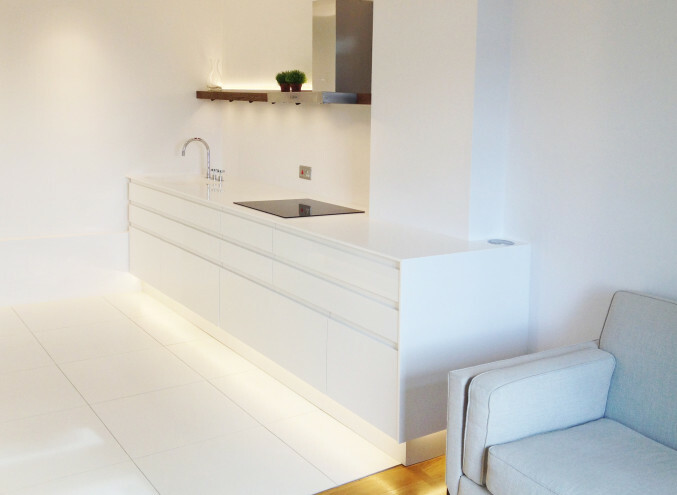 Part of a complete renovation of a private residence in Belgravia, this monochrome kitchen was made from high gloss lacquer, topped with a bespoke Corian® worktop with integrated sink and induction hob. 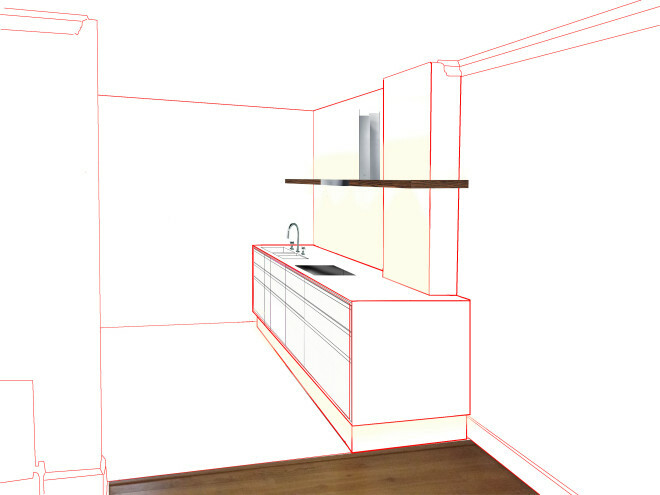 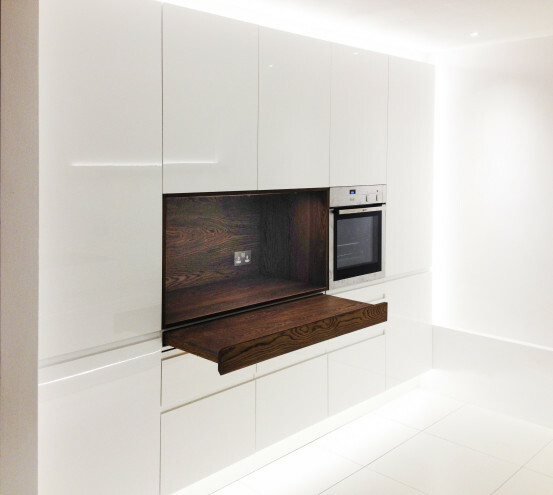 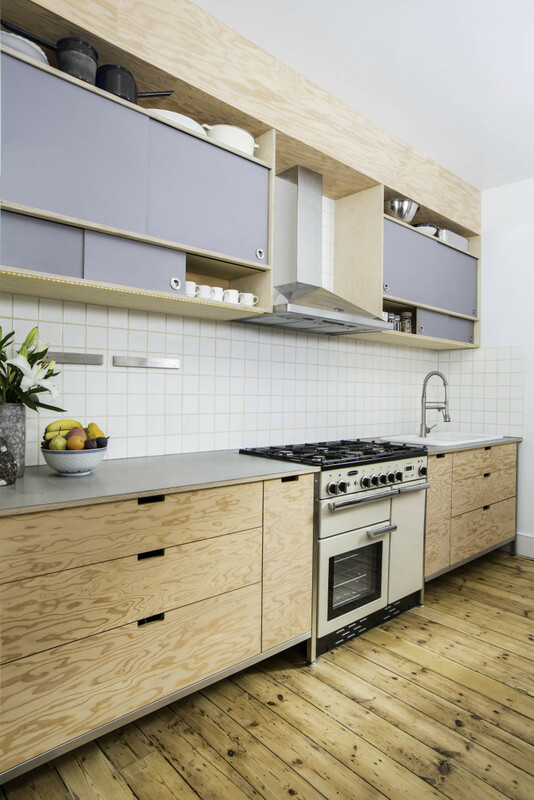 The pure white contemporary scheme is balanced by a solid oak niche, beneath which is a concealed pull-out worktop. 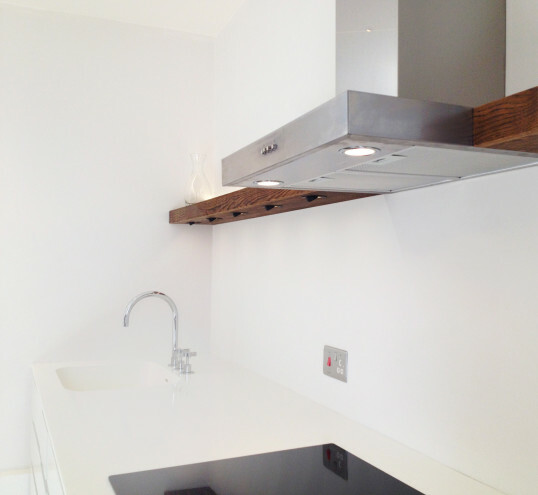 A floating shelf brings light and warmth to the wall opposite. 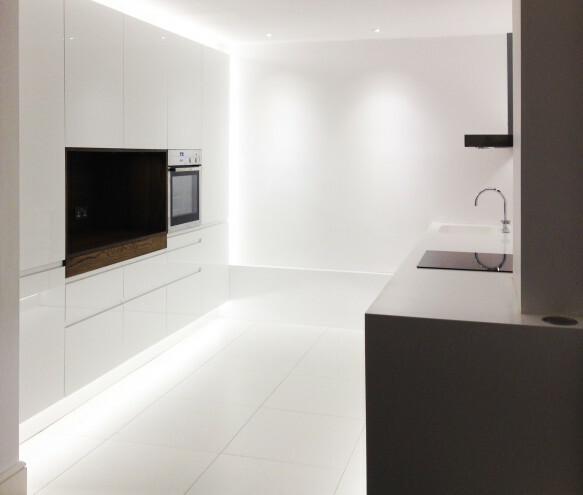 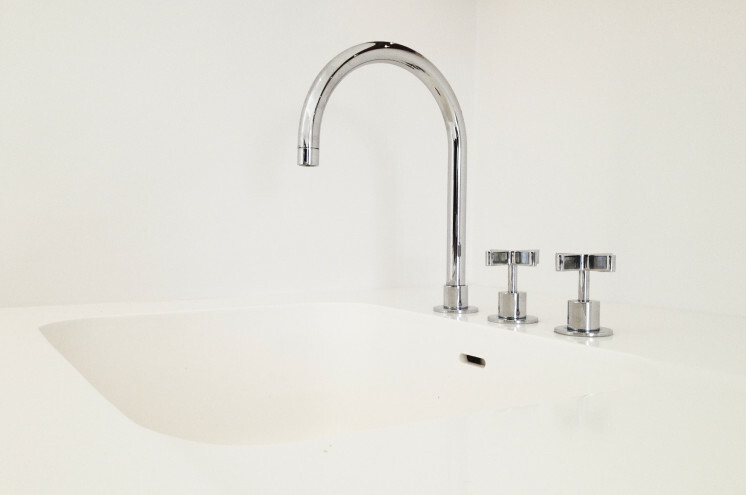 Multi function LED Halo lighting is used throughout to bathe the room in soft reflected light.